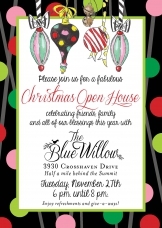 Christmas Open House is a wonderful way to get into the Christmas spirit and get some shopping done! 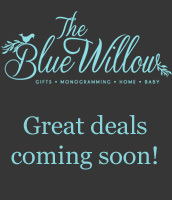 We will offer complimentary gift wrap for eligible purchases, have snacks, giveaways, prizes, specials and MORE! Follow us on FB for additional details! 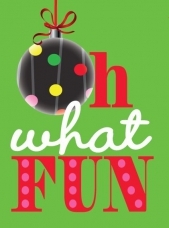 Bring the kids to ROMP & PLAY the ELF MAGIC WAY! A fun day of art, crafts, games, face painting, balloon art and more! 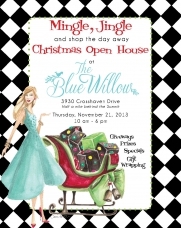 PLUS, Santa and two of his favorite Elves Jingle & Jangle will be here. Bring your camera to capture the fun and memories! Also, take advantage of all Elf Magic merchanise being 20% off during the event only. Tickets are on sale now and will also be available the day of. In case of rain, the event will be held at Cahaba Heights Elementary Gym. 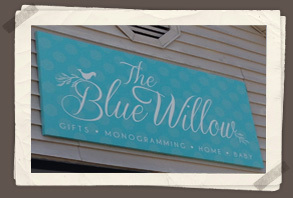 The kiddos LOVE this annual event at The Blue Willow! 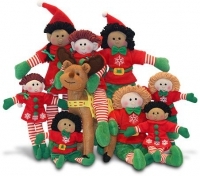 It is a fun day of celebration with Jingle & Jangle Elf. The kids enjoy games, prizes, pictures, arts and crafts and MORE! Also, take advantage of Elf Magic merchandise being 20% off during the event only! 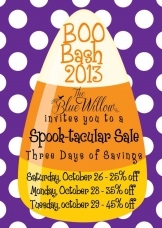 Our annual Halloween Sale is always a BLAST! Shop each day to receive additional discounts! Don't delay as your favorite pieces might be snatched up. What a scary thought! Fall brings football, friends, family....AND Tailgating! Join us for our annual Tailgate Event featuring special guest - Big Al! If you are tailgating on The Quad or on The Plains we have all the essentials you need. Also, if you are throwing a tailgating party in your home, we have your covered there too! Shop local and save! Join us for a FUN day of celebration! Save 20% off your total purchase for the ONE DAY ONLY! It's always exciting to celebrate another year of sweet blessings! Introducing...swap tabletop! With seven color palettes, you have endless options to tailor your table to your taste and the season! Mix and match platters, dinner plates, salad plates, bowls and mugs to fin your style! LAUNCH Party! Join us on Thursday, February 27 from 10:00 until 5:00 to see this new line! Enjoy light refreshments while you shop and for every $50 you spend, register to win a FREE Coton Colors chip and dip platter! Free personalization on all ornaments and platters! All ornaments 10%off - one day only! For every $50 you spend, enter for a chance to win! Romp and play the Elf Magic Way! Join us for our annual Elf Magic Party - the event of the YEAR! Special guests include Santa & Mrs. Claus, Elf Jingle & Elf Jangle. There will be fun for all including prizes, games, face tattoos and balloon art! 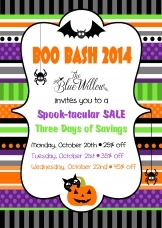 Take advantage of SPOOK-tacular savings on all Halloween/Fall merchadise! Shop early for the best selection, but the discounts get better each day! This annual event is designed to promote local vendors and encourages our customers to SHOP LOCAL! Each day will feature a trunk show of local vendors showcasing their collections from approximately 11:00 am until 3:00 p.m. We will also offer a special discount of 20% off a single item to our loyal email customers. The discount does not apply to sale items, services or special orders. Come shop and meet several local artists and shop their work! We are pleased to welcome author Sherry Graves and Big Al as our special guests! Come purchase a Game Day Rules books and get both to sign your copy! 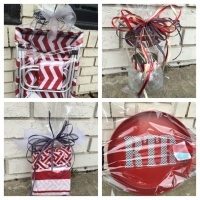 Plus gear up with tailgating goodies for The Plains, The Quad and home when hosting a party! The discounts will increase each day, but the selection will decrease. 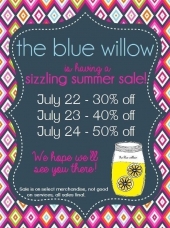 Shop early for the best selection and to stock up on summer goodies! There is still a lot of summer weather ahead! A brief sitting is all the time needed to cut a detailed accurate likeness in the European embellished style. 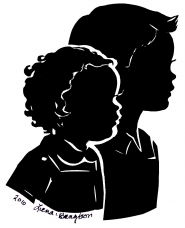 Silhouettes are personal gifts that can be make treasured keepsakes for years to come! 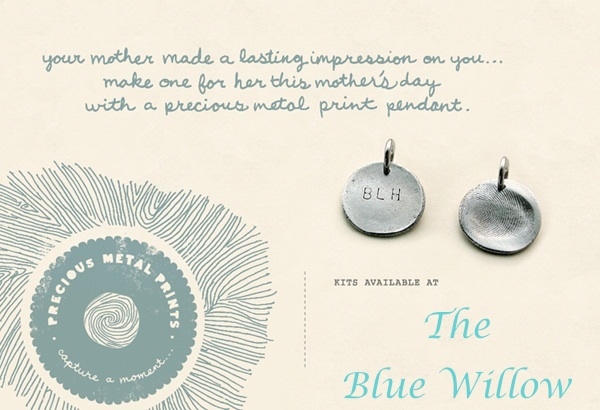 These make great Mother's Day gifts! Simple, easy and truly memorable! 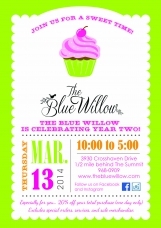 The Blue Willow is THRILLED to announce this event! 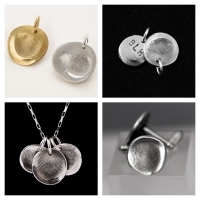 We are now carrying the Precious Metal Prints which are custom fingerprint charms and cuff links. Take advantage of some last minute Easter savings with our three day sale on all Easter merchandise! 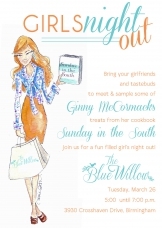 Join us in welcoming author Ginny McCormack to The Blue Willow! She will be signing copies of her cookbook Sunday in the South as offering samples of her wonderful recipes! 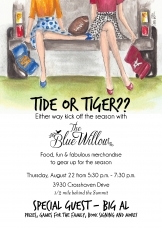 You are invited to an evening of shopping, drinks, raffles and fun! 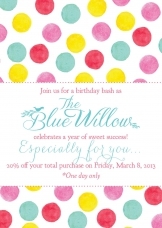 The Blue Willow is thrilled to celebrate a SWEET year! Join us for a birthday bash...and YOU receive the gift! 20% one day only! As a way to celebrate the launch of this line, come join us on Tuesday the 12th of February for sweet treats and a cinda b special! 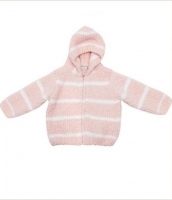 During the event, we will offer a free gift with every purchase of $75 or more of cinda b merchandise. You will receive a FREE cinda b Snap-A-Round Key Fob (retail value of $15), while supplies last. Shop early for the best selection! 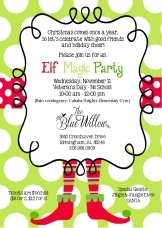 Join us at The Blue Willow on Monday, November 12th, for our Magic Elf Party! Get your picture made with Santa, enjoy balloon art and face painting, as well as games and prizes! 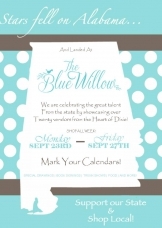 Stop by The Blue Willow to get your tickets! We Could Wait, We Had To Decorate!! 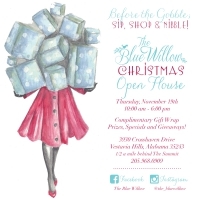 Come by The Blue Willow on Tuesday, October 30th, for a Christmas Sneak Peak. 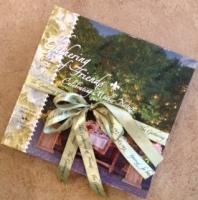 Shop all of our wonderful finds and order custom Christmas cards from Sugar B Designs! 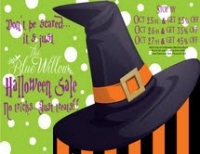 All Halloween Merchandise on SALE!